A BUBBLING CAULDRON: O..M..G..! It's Fair Time Again! Yep, that's right.. the fantastic Orange County Fair launches again this Friday for a month-long run of family fun at the Orange County Fair and Event Center. This year it begins July 17th and runs through August 16th! There's so much going on during that month - beginning with free admission for the first hour on Friday - that it's impossible to cover it all here. 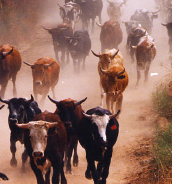 Let me suggest you visit the web site, HERE, for ALL the information about events, including the cattle drive, that will be occurring for that fantastic month. This year the OC Fair celebrates it's 125th anniversary, so the theme is One Big Party, and they're going to do their best to make it so. Live entertainment, terrific displays, exciting rides, and the food... ah, the food! I will poach one entry from the web site - the page that lists the hours. Here you go. The OC Fair Box Office at the Pacific Amphitheatre is located at 100 Fair Drive in Costa Mesa, CA 92626. OC Fair Box Office at the Pacific Amphitheatre during the hours listed above. From any Ticketmaster outlet location. Charge by phone via Ticketmaster at (800) 745-3000. 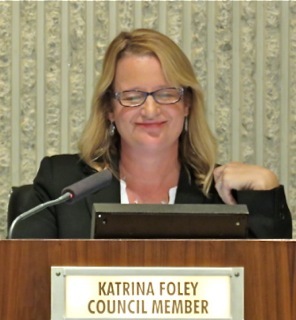 Oh, yes... Katrina Foley would be all over me if I failed to mention that, in addition to the parking on the Fairgrounds, nearby parking is available at Costa Mesa High School - right across Arlington from the Fairgrounds. The reasonable parking fees at those lots contribute to youth groups at the high school. So, join the million or so happy visitors who will find their way to the OC Fair to celebrate this wonderful milestone. Got my Willie Nelson tickets so I'll be there Sunday!